Thanks to the pollution and dust we are exposed to every day, washing our face even twice just doesn’t cut it anymore. And, that’s why facial cleansing brushes have become more of a necessity than a luxury these days. 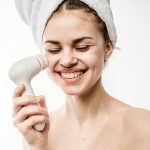 If you are like me, you may think it’s too much of an effort to even wash your face the second time around, and using the facial brush might sound too laborious. One, it is not, considering the kind of innovation and advance in the cosmetic industry; two, it is quite necessary if you do not want to eventually use something else to deal with all the skin issues that will show up if you take your skin for granted. Even if you argue that you have sensitive/oily skin etc., guess what? There is one for everyone and every single skin type under the sun. And, here’s where it gets easier. We have it all listed below and that too, the best of the lot. All you have to do is scroll through and find out what fits the bill. Ready? Good, let’s go. How Do Facial Cleansing Brushes Work? A face cleansing brush does a lot of things. It boosts your facial cleansing process and is at least ten times more efficient than your regular cleaning process. You will be surprised to see what cleansing means in the most real sense as opposed to using just your hands. There are a lot of brushes out there, but almost all of them have a couple of standard settings, like pulsing and rotating. Pulsing helps with deep cleansing and removing dead cells, dust, impurities, and clogged pores. The rotations work like a facial massage, improving blood circulation and giving you a mini-facial every time you use this. You will start to realize that all your serums and other skin creams penetrate better, making your skin look visibly healthy. However, if your need is to prevent aging and wrinkles, you need a different kind of brush vis-à-vis someone who has acne and pimples. So, let’s look at your options and how to look for something that matches your need. 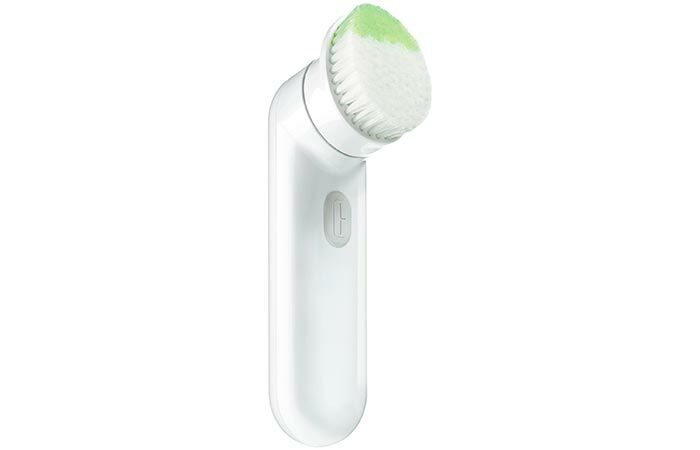 Here are our top 10 recommendations for a facial cleaning brush. 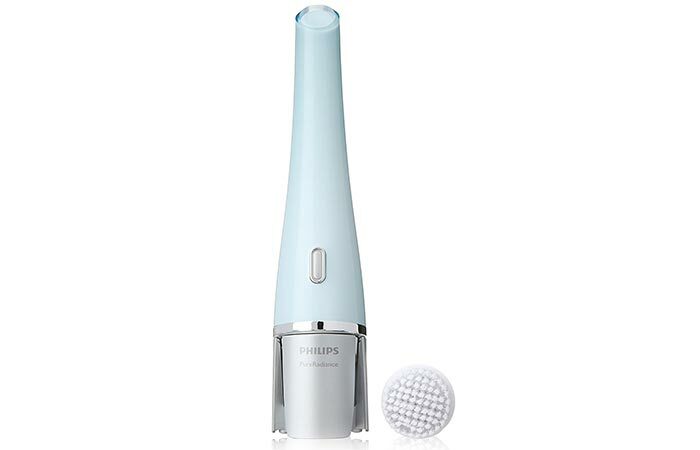 Philips PureRadiance Skin Cleansing System is one of its kind and has dual motion technology. It stimulates blood flow, which makes your skin instantly radiant. It also deep cleanses your pores, removes dead cells, and gently massages your skin. It is as gentle as washing your face with your hands but ten times more efficient. Your skin will feel visibly clearer and fresher. It’s slightly on the expensive side but delivers what it promises. Dual motion technology – soft and efficient. It is on the expensive side. 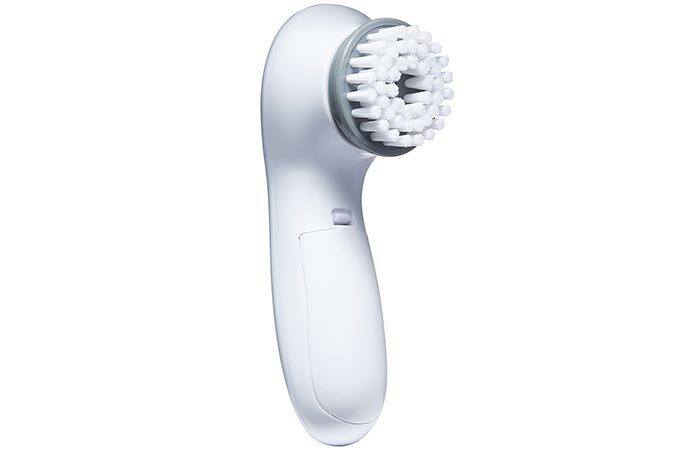 Clarisonic Mia 2 Skin Cleansing System is a new and improved edition of the company’s face cleansing brush. It deeply cleanses your pores just with your regular face wash and makes you look like you got a facial done. The sonic technology that this brush uses opens up all your clogged pores. It eliminates makeup and dust six times more efficiently than your regular hand cleaning. Your cream gets absorbed better, and your skin gradually becomes more receptive. It has two settings for speed depending on your skin type, and a patented T-timer technology. It has a one of its kind 60-second timer that sets the time for even cleaning. Suits all skin types, especially sensitive skin. It’s more effective with a foam cleanser. Olay and skin products are kind of synonymous with each other. 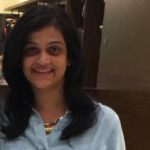 They are known for making some of the most effective skin care products available at affordable prices, and I’m sure at least one product of Olay is a part of your cosmetic closets. Here’s another one that should go in there. This cleaning brush is designed and recommended by dermatologists. It not only cleanses your face but gently exfoliates and leaves your skin silky soft. You can use this while you shower because it is water resistant – so no more excuses. Follow it up with other Olay products for effective results. 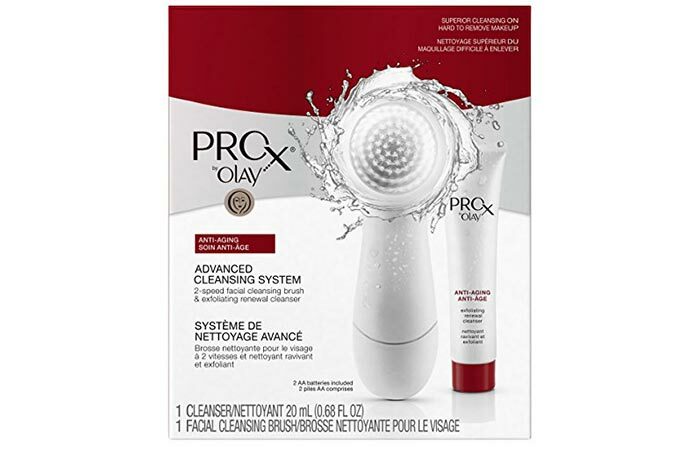 If acne and pimples bother you, you should try this Proactiv Deep Cleansing Brush, which is primarily meant for oily skin. It gently cleans your skin without being harsh or creating rupture on the surface. It offers you two different speed settings, so you can set it up to match your skin type. For effective results, follow it up with the company’s other skin care products. Works best on sensitive skin. Different spinning speeds, depending on skin type. Brush bristles are too soft and bend easily. 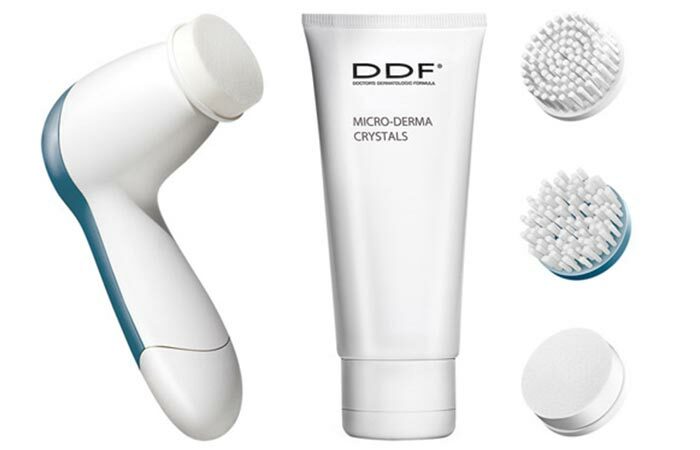 DDF Revolve Professional Micro-Polishing System is a unique product because it lightens and polishes your skin by using the microabrasion method. 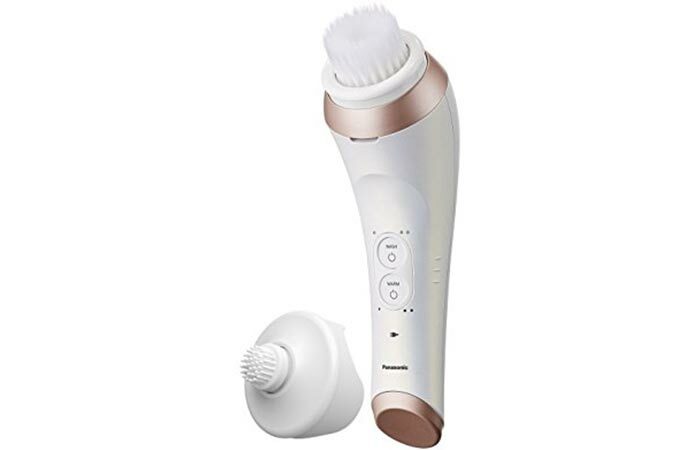 It comes with two attachments – an exfoliator that removes dead cells and clears oily, clogged pores, and a brush that removes debris, cleanses your face, and gives it an overall polished look. Smooth and fine bristles yet effective. If you have extra sensitive skin, it might irritate a little – so you need to try it first. 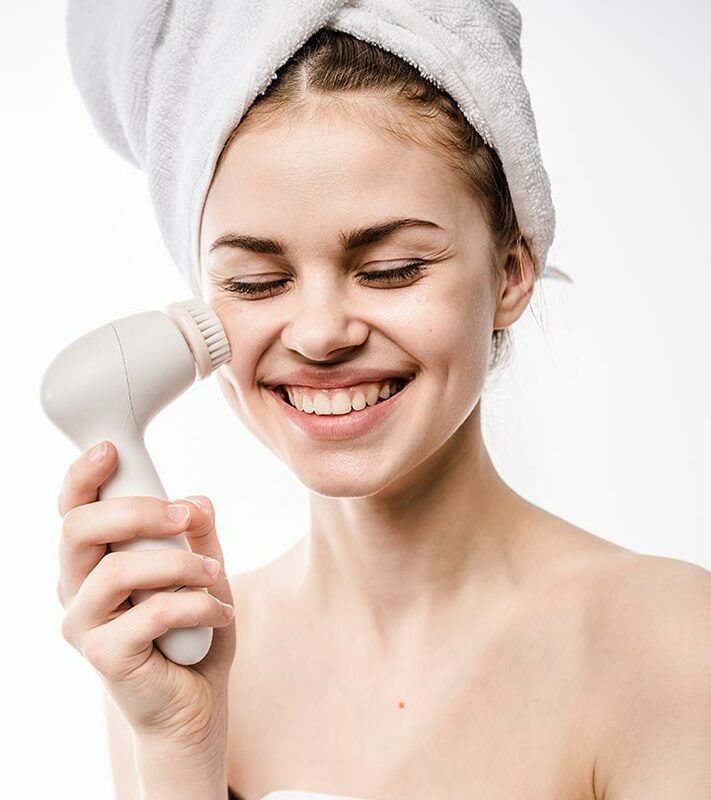 Pixnor Facial Cleansing takes care of all your skin care needs without you having to spend on different products – plus this one is very reasonably priced too. It is one of the best selling and reliable drugstore massaging brushes. It not only cleanses and exfoliates your skin but also gets rid of any bumps and calluses from feet or hands. 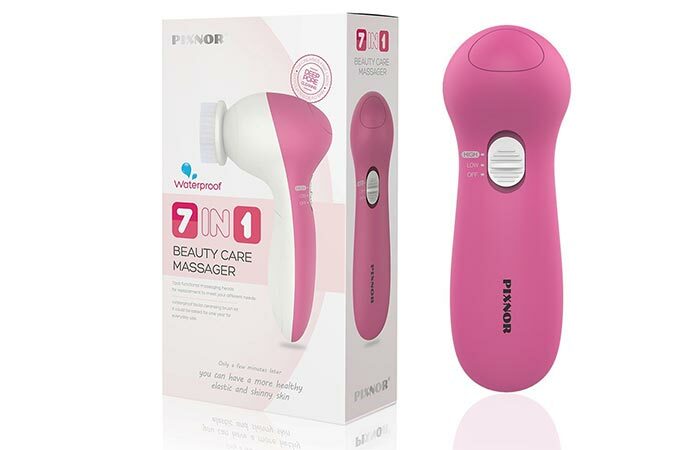 It comes with a set of 7 heads – soft latex sponge, makeup sponge, short-bristle, long-bristle brush, exfoliating head, pumice pad, and rolling massager. If you are looking for a cheap yet effective massaging brush, this one is for you. 7 different parts that are all inclusive. Effective and takes care of all your skin issues. The quality of some of the parts is not that good. You won’t find a better silicone brush than this one, and especially one that works for combination skin (which is tricky to deal with). Works with not just combination, but all skin types. Clinique offers unique and simple solutions for some of the most complicated skin problems. There are cleaning brushes that take care of the face, but not many give equal importance to the T-zone. But, Clinique Sonic System bridges that gap. The tip is angled, gentle, and tapers at the end to help with the T-zone and yet effectively removes dirt from pores from all over your face. Takes care of hard to reach, complicated parts of your face. Full charge holds for 180 minutes while it is turned on. Might feel harsh on sensitive skin. Panasonic Micro Foaming Cleanse Device delivers results of a Japanese massage. Even though we clean our makeup with fancy makeup removers, there is more residue stuck in your pores that you and I can fathom. This brush not only cleans your skin 18 times more efficiently than a regular hand cleaning method, but also helps in improving your complexion. It creates a foam-like texture when loaded with cleanser. Plus it comes with an option of ‘warm’ in its settings that helps loosen any stubborn makeup residue or grime. The three parts that go with it are – a micro-foaming device, a Japanese style soft brush, and a pore-targeting silicone brush. Warm setting that no other brush in the market offers. Helps in brightening your complexion and toning your face. It is slightly on the expensive side. The Soniclear Antimicrobial Facial Cleaning Brush deeply cleanses your skin, of course, but most importantly, it protects you from stain and odor-causing bacteria. 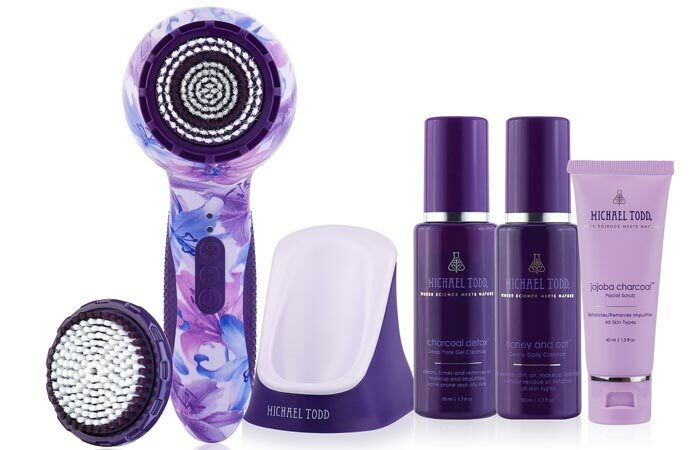 It uses a technology that cleans and exfoliates at a speed of 300 rotations per minute without hurting your skin or causing any damage – because the slow movement of these brushes can otherwise tug your skin. Works great on acne-prone skin and will be a value-add. Anti-bacterial and fights any sort of contamination. Light on the skin but effective. Use it every day, or once in two days at least. Go with a brush that is meant for your skin type. Remove your makeup with oil or makeup remover first for effective results. Start by using gentle cleansers during the first few weeks of using the brush. Take it a little slow. If you have hypersensitive skin or skin conditions like rosacea, avoid using a brush because it might cause significant damage. Do not go overboard with using the brush; there is a thin line between cleaning the skin and using it to an extent that it harms your skin. Your skin has a natural barrier that protects it from everything external – make sure you don’t disturb that. Have a separate brush for yourself, and do not share it even with your partner. If you already have red, sore, and fresh pimples on your skin, do not use a brush. Try and work on reducing the size of the pimples first, then get to deep cleaning with a brush. Do not use the same brush head for an extended period. Make this a part of your skin care routine and you will definitely be thankful that you started somewhere. Your cleansing products work more effectively with a brush. Hope this helps. Feel free to drop in a comment in the section below with any questions you might have.